Vietnam’s ambassador to Malaysia says he appreciates that a Vietnamese woman will be released soon after pleading guilty to a weapons charge in the killing of the North Korean leader’s half brother. Ambassador Le Quy Qunyh attended Monday’s court hearing and later thanked the Malaysian government and the attorney general for Doan Thi Huong’s swift release. Huong, who is expected to be freed by early May after finishing a three-year sentence, is the lone suspect in custody in Kim Jong Nam’s death from VX nerve agent in 2017. She had faced a murder charge, but on Monday pleaded guilty to voluntarily causing injury by a dangerous weapon, which carries a maximum 10 years in jail. Aisyah was unexpectedly freed in mid-March after the murder charge against her was dropped. The murder charge had alleged the two women colluded with four North Korean suspects, but the women have said they thought they were taking part in a harmless prank for a TV show when they swiped their hands over Kim’s face at the airport. The four North Koreans fled the country. 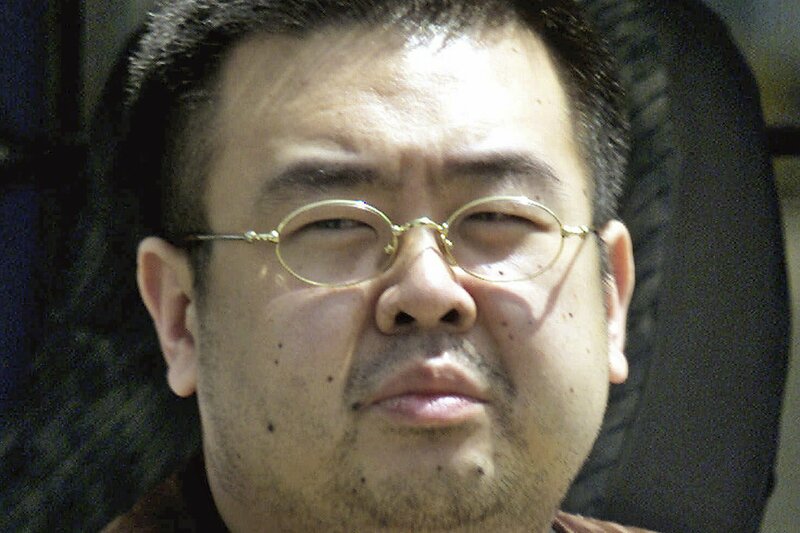 A Malaysian judge has sentenced a Vietnamese woman to more than three years in prison after she pleaded guilty to a weapons charge in the killing of the North Korean leader’s estranged half brother. Huong stood up in the dock and through her translator, thanked the judge, prosecutors and the Malaysian and Vietnamese governments. She told reporters before leaving the courtroom she was happy and hopes to be a singer and actress when she returns to Vietnam. Huong’s lawyer Hisyam Teh Poh Teik said she is expected to be freed by the first week of May, after one third reduction for good behavior. She is the lone suspect in custody in Kim Jong Nam’s death from VX nerve agent in 2017. Vietnam’s ambassador to Malaysia says he hopes the lone suspect in custody in Kim Jong Nam’s death can be freed after she pleaded guilty to a weapons charge. Doan Thi Huong pleaded guilty to a charge of causing hurt by a dangerous weapon, which carries a maximum 10 years in jail. She previously was charged with murder, which carries the death penalty. Huong bowed and greeted her father and Vietnamese officials after the judge left the courtroom. After a brief break, the judge is expected to announce the sentence. A lawyer for Doan Thi Huong says she is pleading guilty to a reduce charge in Kim Jong Nam’s killing and is asking for leniency. Lawyer Salim Bashir had told reporters earlier Monday that the new charge against Huong was for causing hurt by a dangerous weapon, which carries a maximum of 10 years in jail if convicted. The previous charge was murder. Huong nodded as the translator read the new charge to her. The translator later told the court that Huong pleaded guilty. Huong’s lawyer Hisyam Teh Poh Teik told the court that her plea showed Huong “has taken responsibility” for her actions. In asking for a lenient sentence he also told the court that her move also saved judicial time. The Vietnamese woman is the only suspect in custody for the killing of the estranged half brother of North Korea’s leader with VX nerve agent in 2017. Malaysian prosecutors have offered to reduce a murder charge against the Vietnamese woman who is the only suspect in custody for the killing of the estranged half brother of North Korea’s leader. Prosecutor Iskandar Ahmad told the court Monday he received instruction from the attorney general to offer a lower “alternative charge” to Doan Thi Huong. Huong’s lawyer Salim Bashir told reporters the reduced charge was for causing hurt by a dangerous weapon, which carries a maximum of 10 years in jail if convicted. Kim Jong Nam was killed with VX nerve agent at the Kuala Lumpur airport in 2017.